What Is It Like To Learn With NSS? We have invested a lot of energy in coming up with a formula where folks could “test the water” without having to break the bank. 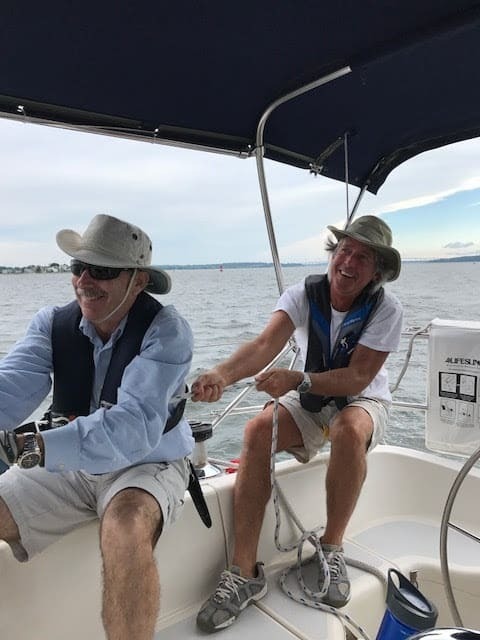 At Narragansett Sailing School, we offer a multitude of different paths to try sailing or improve sailing skills without requiring a major financial commitment. Starting as a sailboat dealer years ago, we saw customers struggle with the dilemma of having the desire to get into sailing without being able to justify investing the money in a boat they don’t yet have the knowledge of what boat to choose or how to operate it. Not to mention whether it was something the family would enjoy or not! So we developed this teaching system to let a budding sailor continue learning and gaining experience until they see the right direction in their future, whether that be ownership, chartering, or just bumming time on friends boats! Our mission is to provide an integrated system of courses to provide the tools to have a prospective sailor or cruiser acquire the skills, knowledge, and savvy to make intelligent decisions of how, why, and with what boat they want to sail off in. We take a person with an interest in sailing, bring their skills and confidence to a high level in a pleasant and stress-free environment, and provide a series of proper boats for that person to then practice and solidify that new knowledge. Making a sailboat go is far easier than most folks think. In fact, we will have you sailing around the harbor adjusting the sails on the first day! What takes more time is to learn how to make the boat stop…how to get away from the dock and back again, navigation, deciding who has the right of way, knowing what to do in strong winds, and so on. We have a unique way to teach beginning sailing. We are a hands-on school: low in classroom theory and high on actually doing it. In three days we will take a complete novice and have them sailing out the harbor and into the bay! There are two broad categories of sailing: racing and cruising. It‘s sort of like the difference between driving a sports car or a camper. Racing is the sailing you see on TV with lots of frenetic activity, adjusting of sails, and a team focused on speed. Cruising is messing around on the water with a lay-back attitude, cooking a good meal, and a tranquil night at anchor. We are cruisers. We focus more on anchoring techniques, docking procedures, and family safety on the water; rather than sail trim and speed. If you want to race there are many good schools for that, but not us. Our class size is kept very small and our course length is one of the longest in the business: three full days. Our instructors are experienced cruising sailors. Most have cruised extensively. We give students individual attention and lots of time at the wheel. We have opportunities for you to practice on the boat after course completion, so you can cement the skills that you learned. It’s all about finishing with a good foundation and enough repetition to make those new skills intuitive. Everyone has their own vision of sailing and what they want to get out of it. 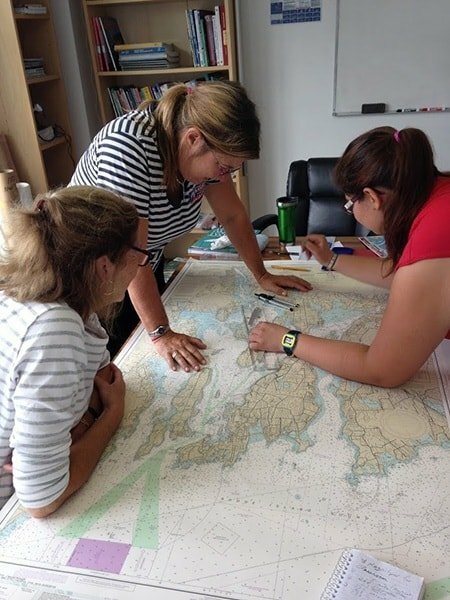 Our staff has the knowledge base and experience to guide you to the best sailing option for your individual taste. The Northern end of Narragansett Bay was perfect with little boat traffic, a slower current, protection from the waves blowing up the bay, yet open to the wind for smooth sailing. Cove Haven Marina in Bullocks Cove is completely protected from storms, but easy to get out to the upper bay. To top it off, we have plenty of parking and one of the largest marinas in the bay to practice docking and close quarter maneuvering using an actual marina slip! Ready To Book Your Lesson With NSS?